No constant stirring, no checking, no standing over the stove for an hour. One way to make winter mornings more enjoyable is by tucking into a warm, comforting breakfast -- namely porridge or baked oatmeal. Or maybe even a cheeky cinnamon roll. Although rolled or quick oats are usually our go-to when it comes to porridge, there's one type of oats which completely changes the breakfast game: steel-cut oats. Steel-cut oats are more nutty, filling and have more 'bite' than rolled or quick oats. Steel-cut oats are actually the closest to their original whole grain form and are made when the whole groat is cut into several pieces with a steel blade. The only downside to steel-cut oats, however, is how long they take to cook. 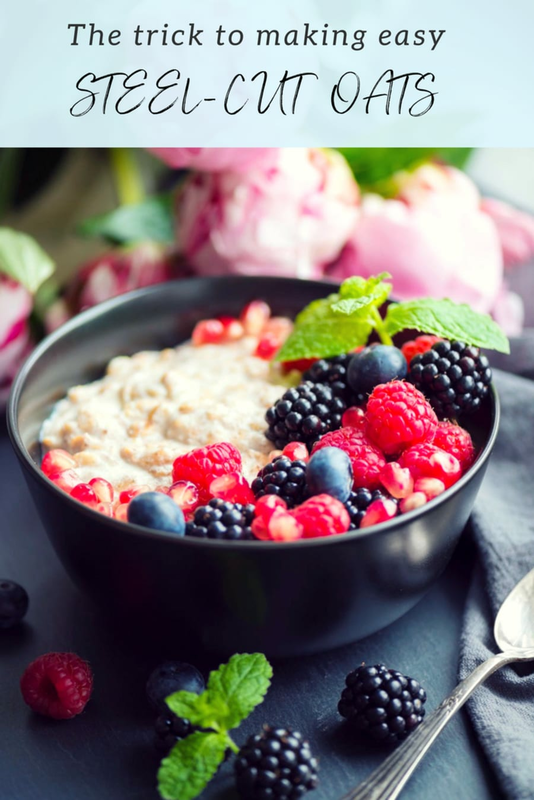 Because they're not as processed as quick or rolled oats, steel-cut oats take up to 45 minutes to cook and require constant stirring -- not what we want to be doing in the morning when we could be snoozing. But there's a trick to making steel-cut oats easily (and, indirectly, more quick for you). It involves 'cooking overnight', but it's not what you think. Add steel-cut oats and water/milk (a ratio of 1:3) to a saucepan, give it a little stir and bring to the boil. In the morning, take off the lid, and there you have creamy, perfectly cooked steel-cut oats. That's right -- no constant stirring, no checking, no standing over the stove for an hour. In the morning, simply re-heat the pot of oats on the stove, or portion out a bowl and heat in the microwave. Don't believe it? Give it a go. When you have a bowl of delicious steel-cut oats in front of you, it's time to add toppings. The best topping combo is banana, cinnamon and peanut butter, but here are six more incredibly tasty porridge topping ideas. 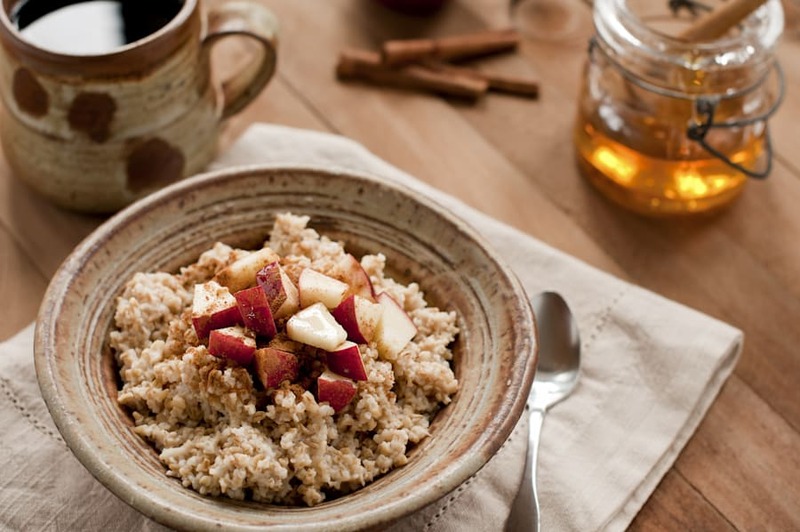 Apple and cinnamon is another winner for porridge toppings.